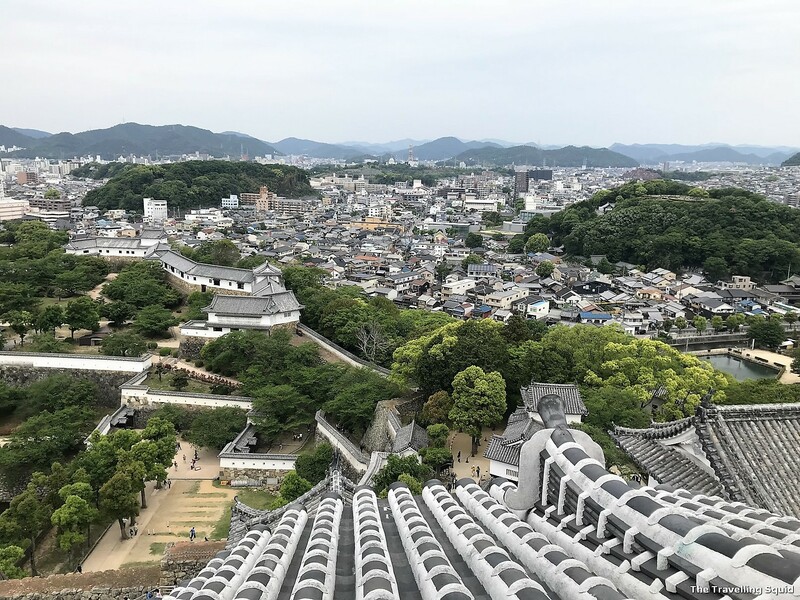 Himeji Castle is really beautiful, despite being just white and grey. It’s very beautiful, even from far. According to Japan Times, Himeji Castle was registered as a UNESCO World Heritage site in 1993. 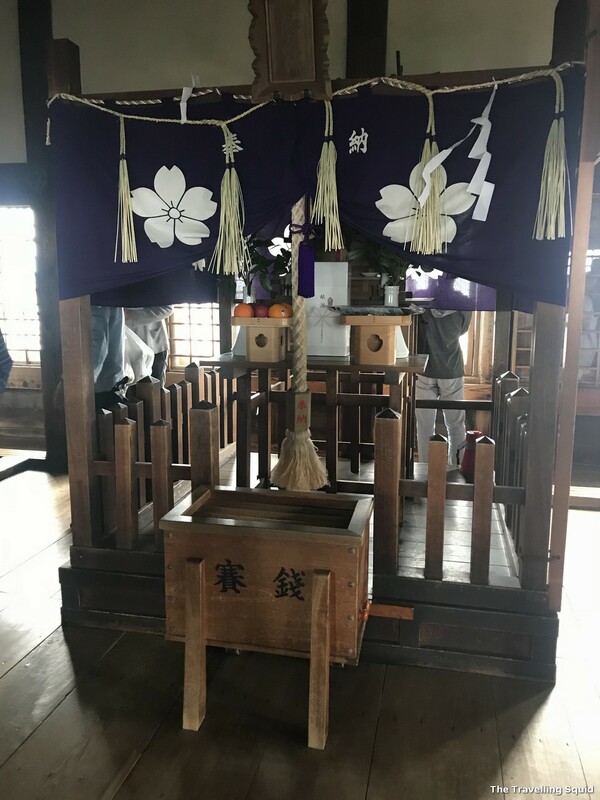 It was the first site in Japan to be registered, along with Horyuji Temple in Nara and other sites. 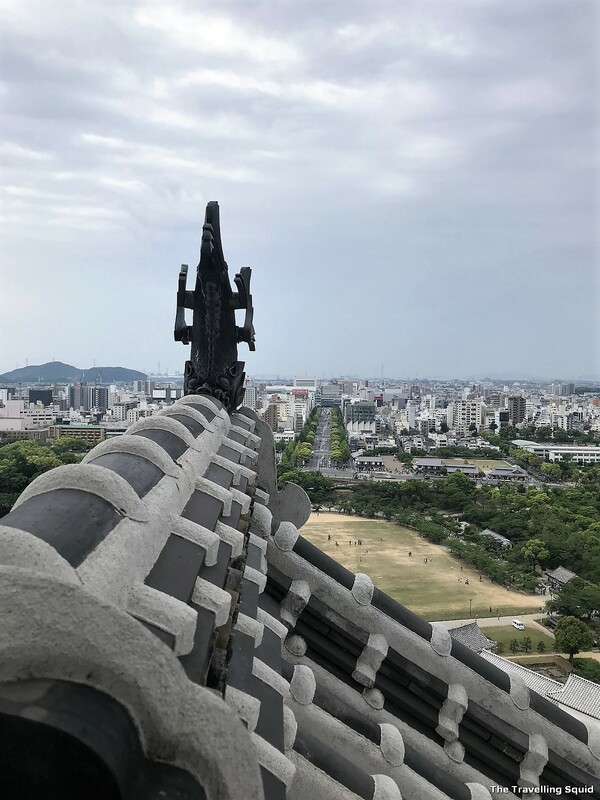 Himeji is considered to be a reflection of Japan’s early 17th-century architecture, which comprises 83 buildings with an advanced defense system keeping those inside safe. 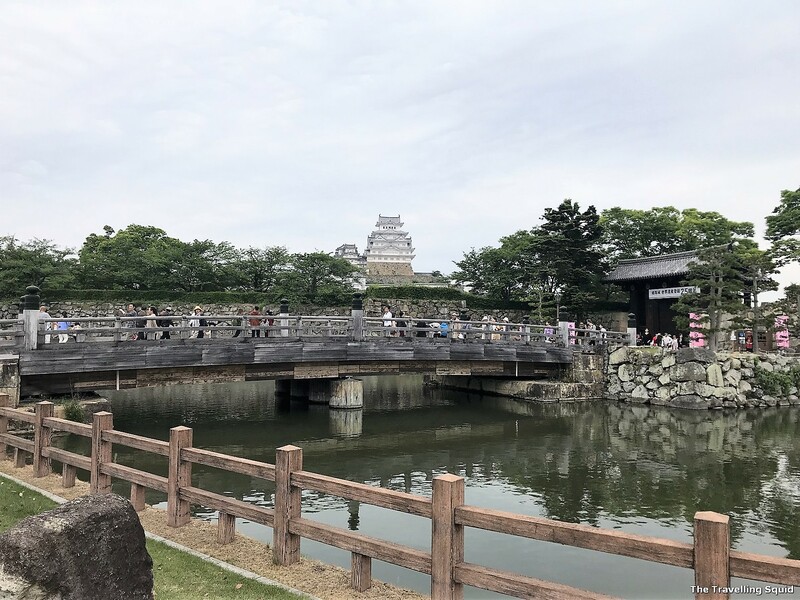 Himeji Castle was built by a samurai dating back to the 14th century. The current aesthetics of the castle was completed in early 17th century and refurbished in 1964 and 2009. 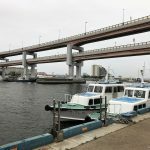 It was opened to the public in March 2015, after undergoing five years of major renovations. This path up to the castle felt very relaxing. 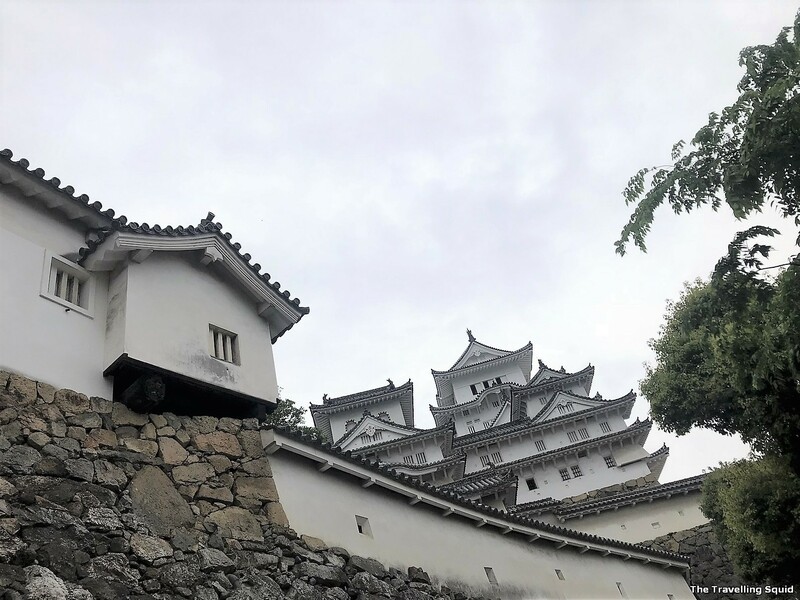 Himeji Castle resembles a heron taking flight. 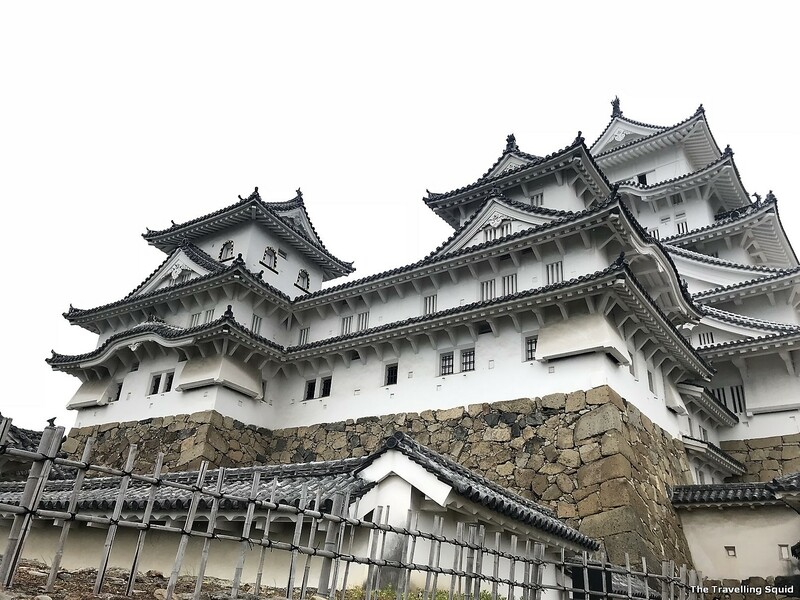 Himeji is also known as the “White Heron Castle” because of its pure white exterior and resemblance to a bird taking flight. The castle is considered to be a masterpiece of construction in wood. Shoes are not allowed in the castle and you can carry them with you with plastic bags provided. 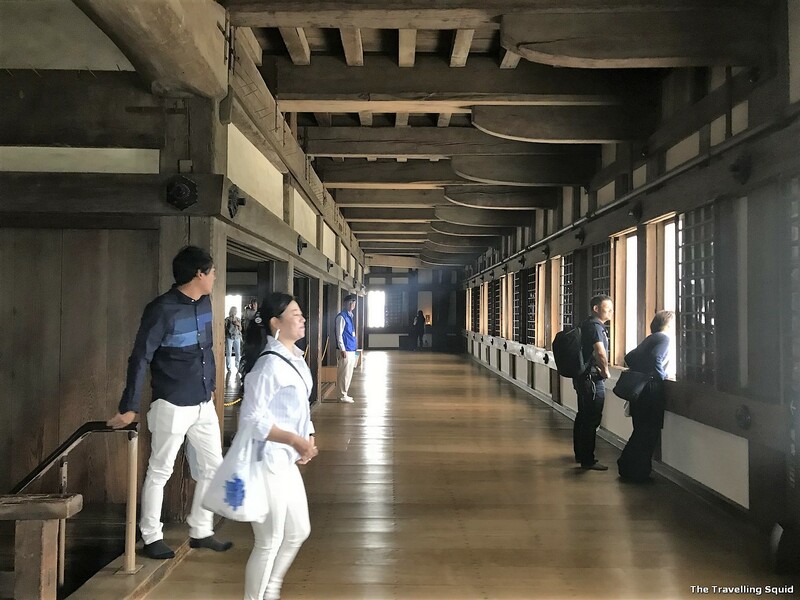 From the pictures below, you can see that the interior of the castle is largely made of wood, including the structural pillars, floors and walls. The white plastered earthen walls are said to complement this natural approach, exuding a subtle elegance and harmony with natural elements. According to the UNESCO, another key highlight was the subtlety of the relationships between the building masses and the multiple roof layers. The interior is mostly made of wood, resembling that of 17th century castles. 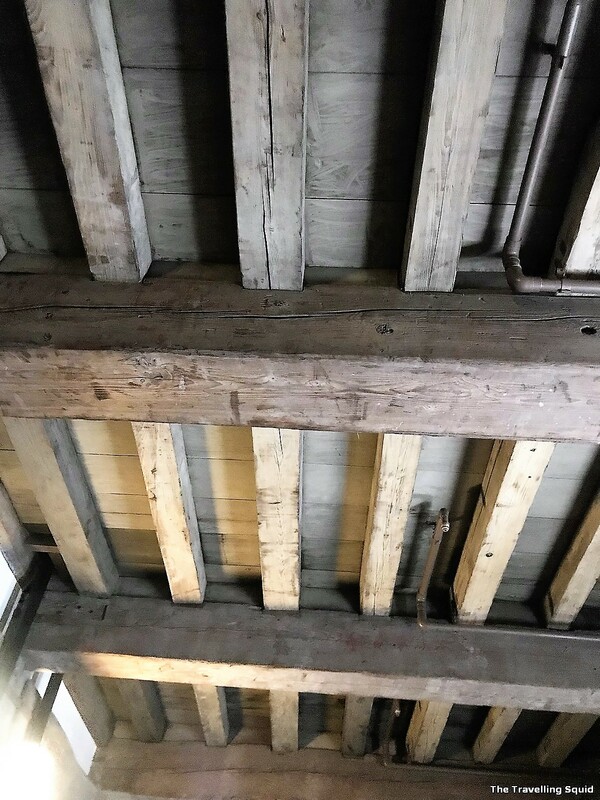 Strong wooden beams, conserved with authentic methods. Elements which were not aligned to those in the 17th century were removed, and replaced with the originals. The racks on the right were for swords I believe. Quite a feat for the interior to be mostly made with wood. The hooks – they were for coats perhaps? Much effort must have gone to keeping the wide earthen walls white. One of the natural disasters which Himeji Castle survived was the Great Hanshin earthquake in 1955. 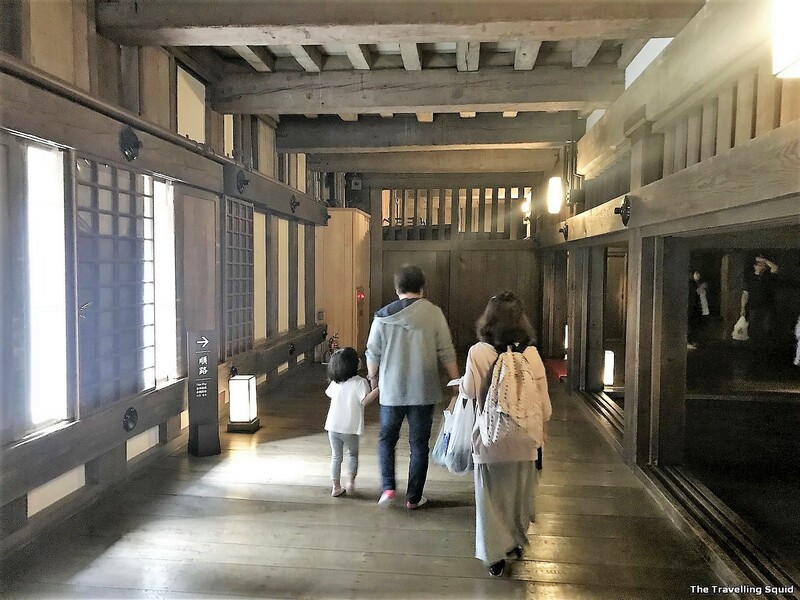 Despite disasters and the war, UNESCO said that Himeiji Castle perfectly preserves the interior and exterior characteristics of a 17th century Japanese castle. According to UNESCO, the feudal masters of the castle kept it in good order with regular repair works ongoing from the 17th to 19th centuries. There were some loss of buildings over time. After the national government took over the site, some of the samurai houses were replaced by military buildings. In 1882, fire destroyed the castle lord’s residential compounds. However, these losses were considered to be minor and the integrity of the castle was maintained. 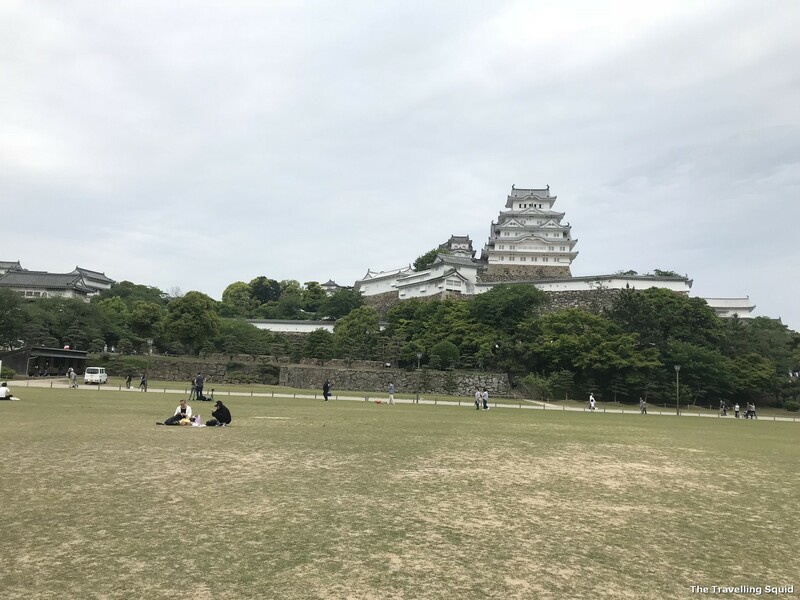 Why Himeji Castle is important to Japan – the grey and wide rooftops were well restored. 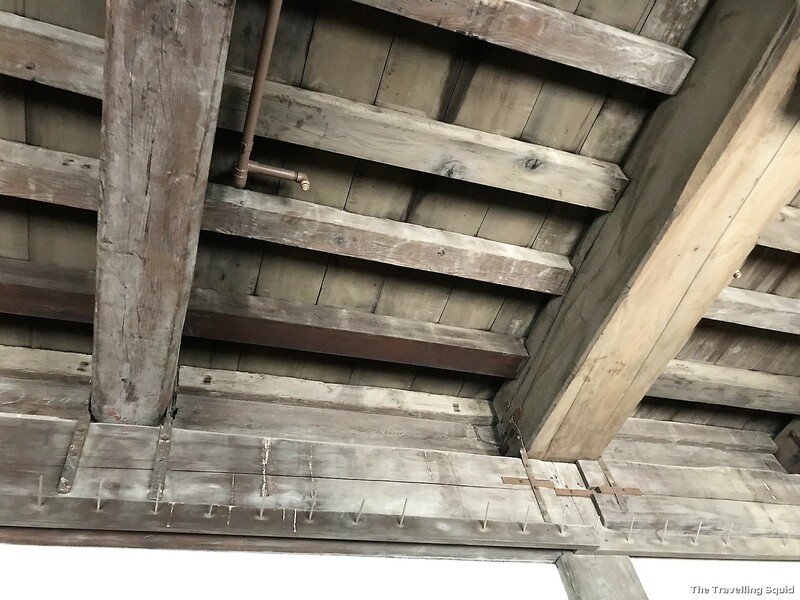 According to UNESCO, a series of conservation projects since 1934 have been carried out using techniques developed in Japan for conservation of wooden structures. 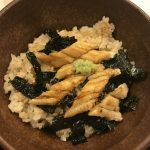 These techniques conformed to principles of authenticity in terms of form/design, materials/substance, traditions/techniques and location/setting. Conservation methods used to restore Himeji were said to be authentic. The use of new materials is rigorously controlled. Buildings added to the site in the 19th or 20th centuries were removed. According to UNESCO, the only modern placement was the insertion of the reinforced concrete foundation raft. 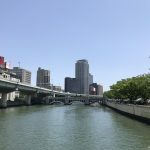 This was justified due to the weakness of the location’s subsoil, which could lead to a collapse especially in a region of high seismic activity. 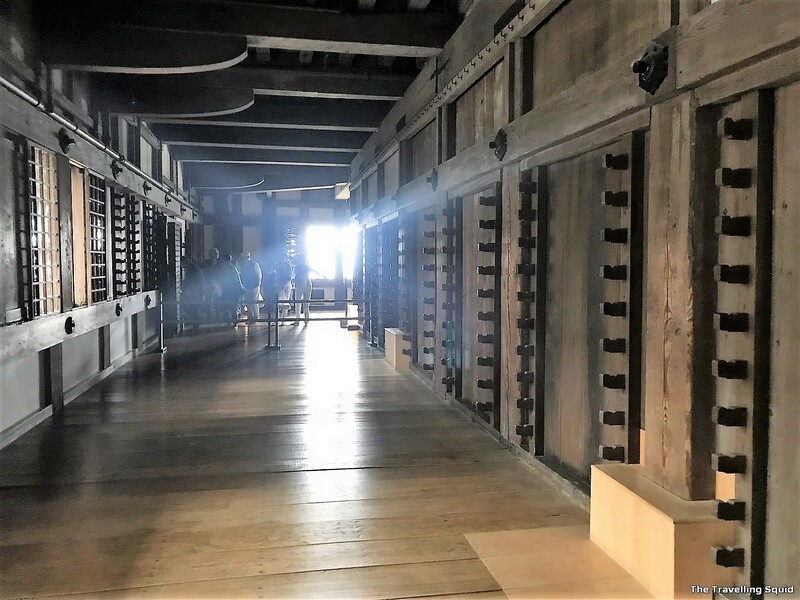 UNESCO said that incompatible fixtures such as doors and windows which were added on in the 19th – 20th century were replaced with appropriate elements when sufficient information was available on what the originals were in the 17th century. The floor was so clean and well-kept. 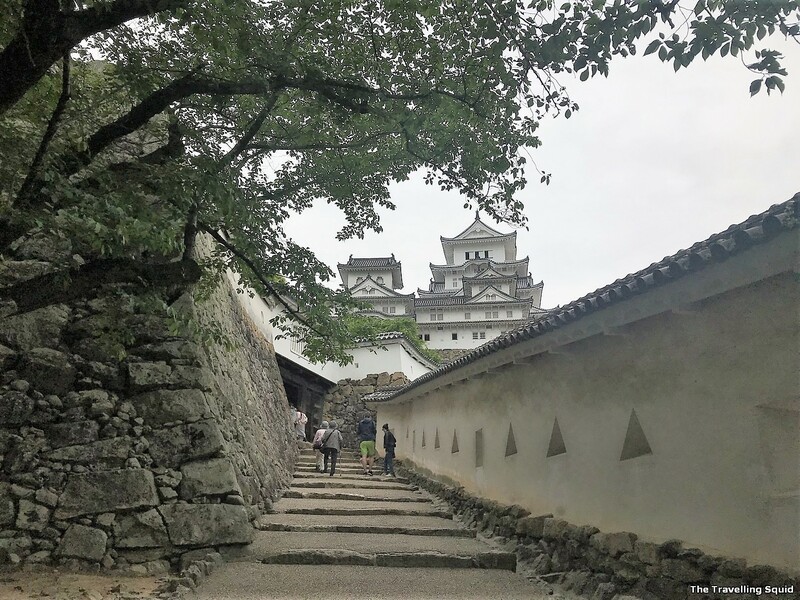 At this point, I should say that Himeji Castle spans six levels and the only way to go up and down is through flights of rather steep staircases. Do mind your step as the floor is very smooth and can get slippery at times. There are handrails provided. There were many people descending when we were there and it took a while as there were children and senior citizens in front of us. Wide fields and empty spaces. 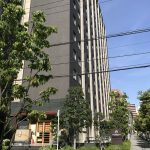 Can’t quite tell that it was a military compound integrated with a residential space. I’ve visit plenty of forts and castles in European cities and they’re usually imposing and massive, their strength exuded by its foundations and walls made of rock and stone. Sterling Castle in Scotland is one such example. 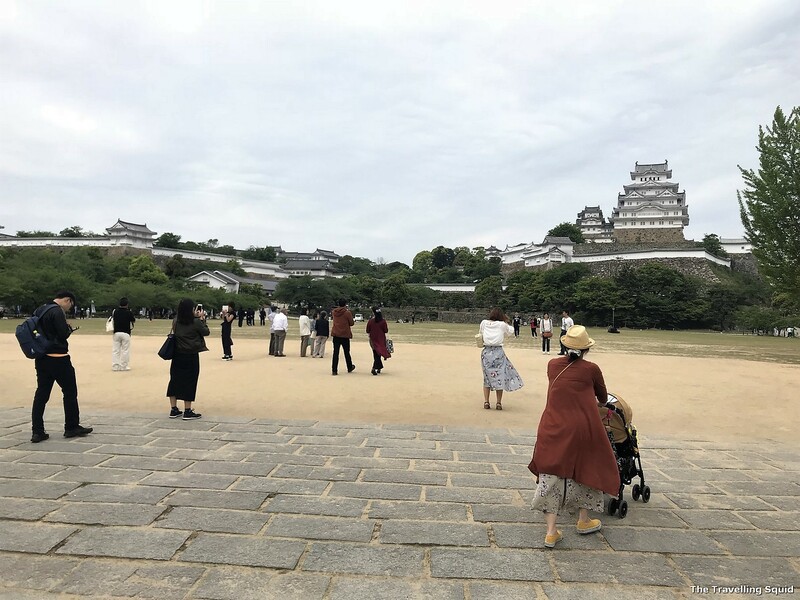 Himeji Castle is unique because of its gracefulness – it isn’t imposing and intimidating, yet it seems to be capable of protecting with swiftness, agility and grace. I also found it interesting how the castle had well-integrated a place of residence into a military compound. The architecture and gardens allowed its residents to relax despite living behind its strong fortified walls. 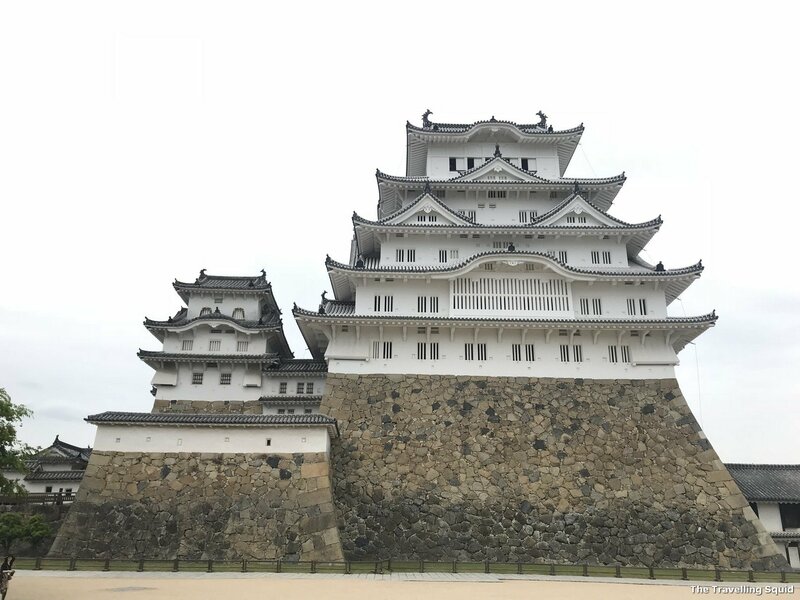 It is no wonder why Himeji Castle is important to Japan and has earned its title as one of the most visited castles. 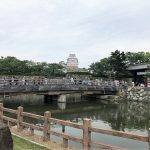 One Response to "Four reasons why Himeji Castle is important to Japan"